We have a variety of standard graphics choices, which you can get on any board. The image gallery represents the possible options for any board, but you are not limited to just these, see the Custom Graphics section for more details! We can build your new board with a custom graphic of your choice. Whether you work with one of our talented artists, provide an image, or your our design file, we can print high-quality top sheets to enhance your snowboard and make it a truly custom one-of-a-kind ride! 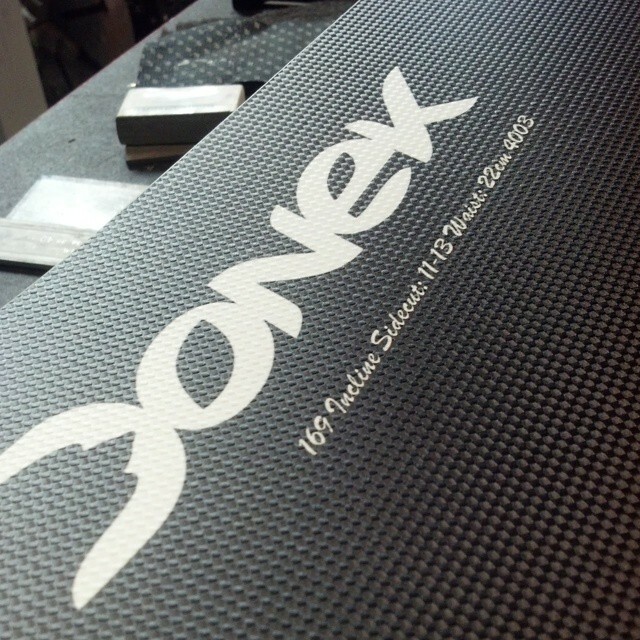 Our Carbonium top sheet treatment provides a unique textured appearance and feel to your snowboard. Carbonium is now the standard topsheet on every board we make except the pilot and Saber SRT.